Offices.net has been relaunched with an entirely new look and feel. 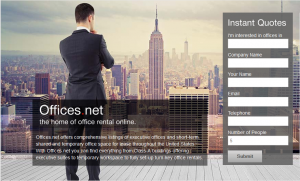 The newly redesigned site showcases office space available across the United States, enabling businesses of all sizes to find workspace quickly and easily, and to obtain prices and tour available buildings at no cost. The changes are much more than skin-deep, with new content and areas all put at the user’s fingertips. We are proud of the new site and believe it is smarter, easier to use and faster, and will provide a better user experience than ever. With inventory in 43 states and the District of Columbia, Offices.net fills a vital role in helping people find the right space to establish a new business or grow an existing one. Access to the site is free, and users are not charged for quotes and information. Tens of thousands of companies have used the site to find serviced and conventional office space. We anticipate that the demand for affordable, flexible office space will continues to increase. While conventional office space with long-term, fixed leases continues to dominate the market, there has been an increase in demand for the turn-key, quickly set-up and flexible approach to office rental that is best provided by serviced offices and executive suites. This is clearly visible in areas like New York, Texas and California, and it is a trend that is increasing in other states in the US. 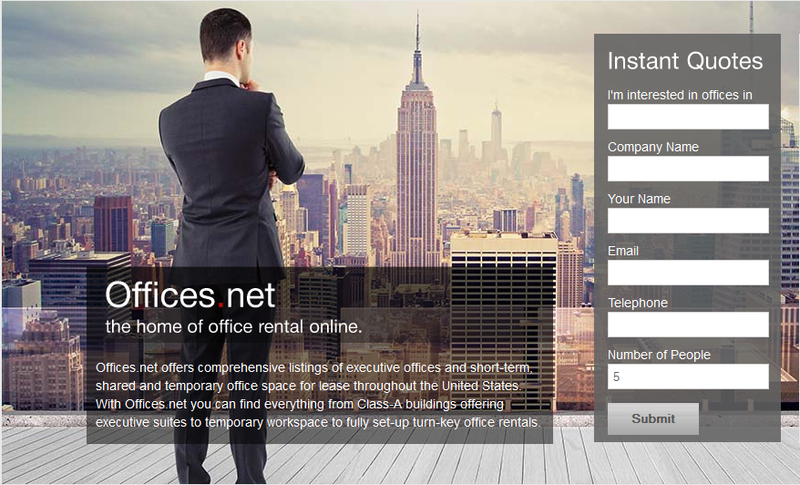 We hope that you will find the new Offices.net website useful in your search for the ideal work space. Please let us know what you think, we’d love to get your feedback. This entry was posted on Thursday, March 12th, 2015 at 2:21 pm	and is filed under CRE, Real Estate. You can follow any responses to this entry through the RSS 2.0 feed. You can leave a response, or trackback from your own site.